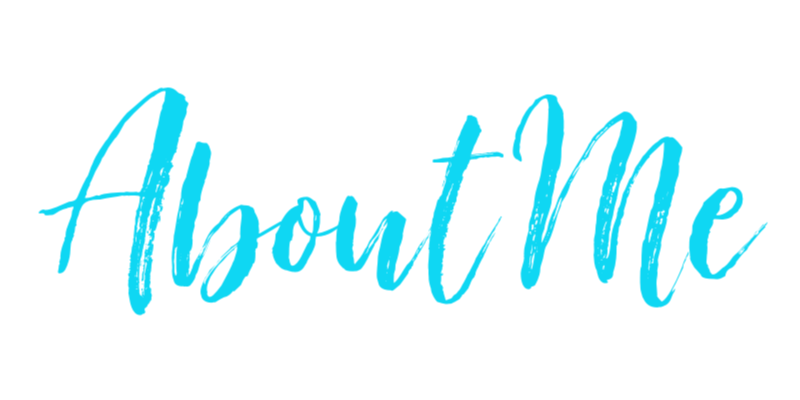 This post has been brought to you thanks to GORVING Blogger Program and KOA Campgrounds of America, but all trendy opinions are my own! 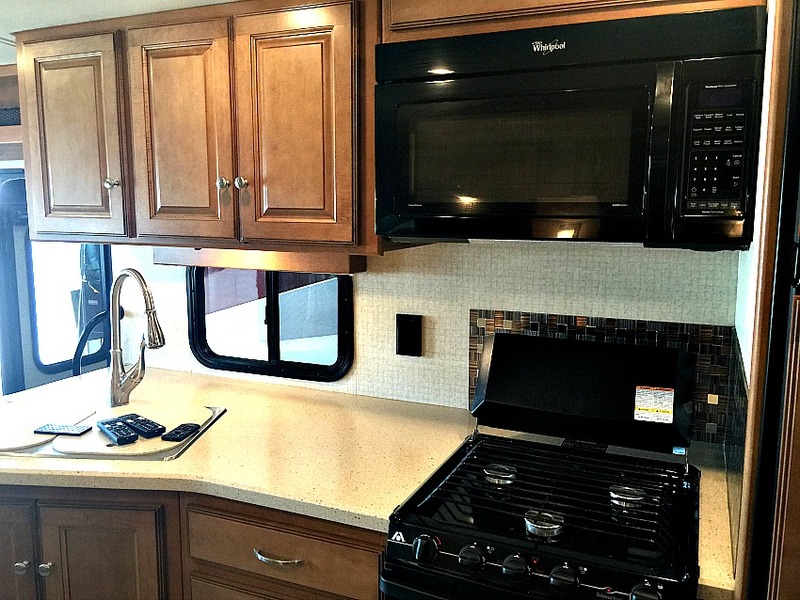 We were invited by the Gorving program to take the beautiful Winnebago Vista to enjoy the amazing ride to Virgina Beach KOA! The beautiful sunny skyline set the path to our journey towards our second camping experience! Check out our first one here! 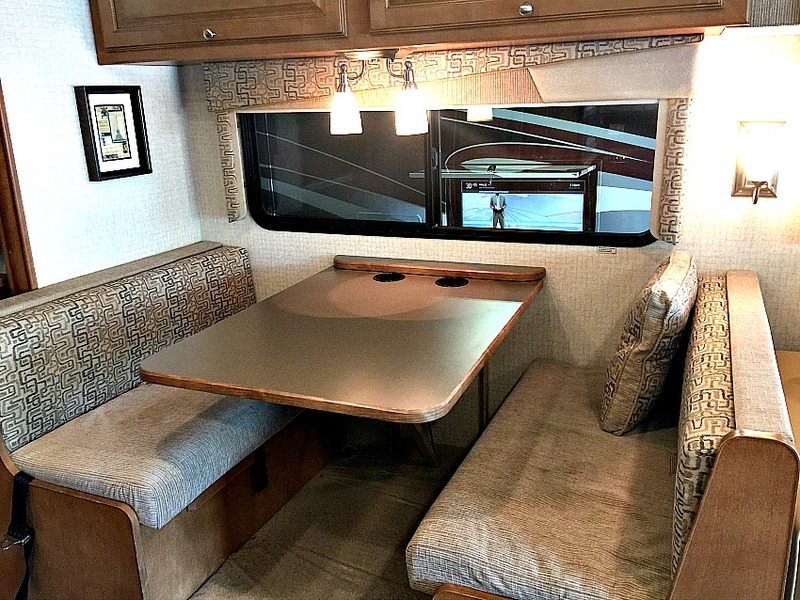 If you know me, you know I’m all about comfort and style, so you will understand once I give you a walk through of this beautiful RV! Come with me! 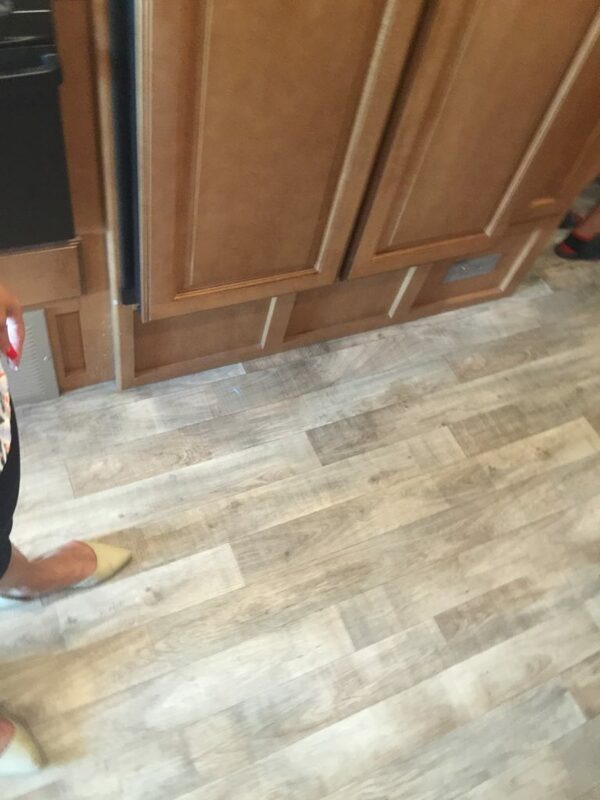 I loved the floors, so stylish and easy to clean! After all, boys, outdoors and clean floors don’t go together, right? Think twice! 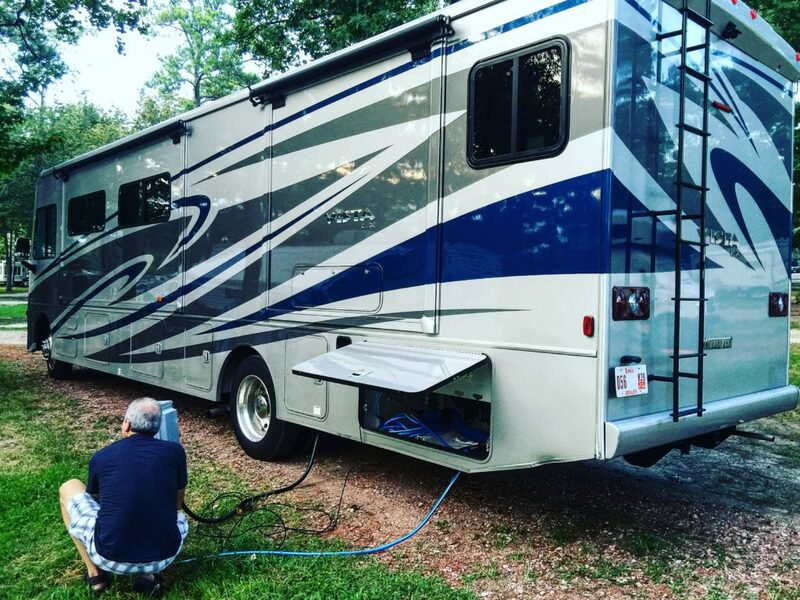 I was able to keep the RV super clean using just a small broom! This couch was a queen bed, but we didn’t really use it, since it was only the 4 of us! 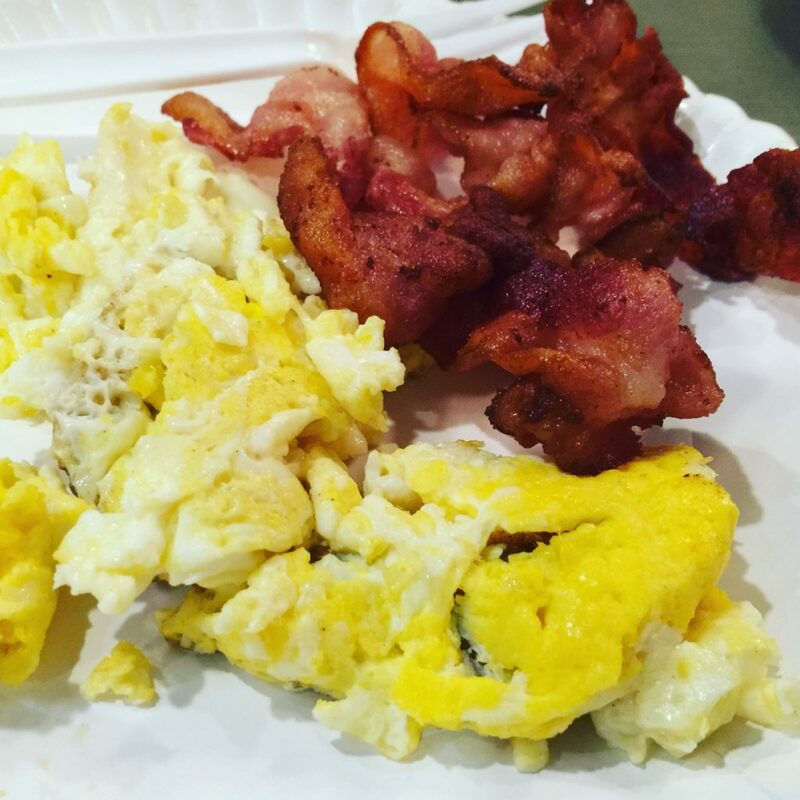 I was so happy to have a full working kitchen at my fingertips! Needless to say, the boys loved having their private bathroom! My 6’3″ son who is always uncomfortable in vehicles due to his height was pretty comfortable in there! 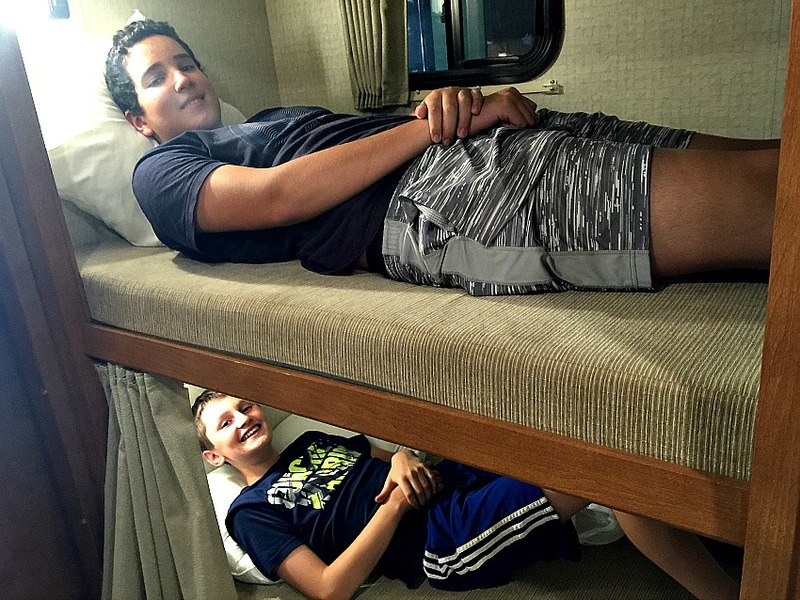 I must say we were all surprised with how spacious and comfortable the Winnebago RV was! My bedroom was super comfortable as well! So much storage and the shower space really surprised me! It was a BIG SHOWER!! The water was super hot, the way I like! It was amazing to come back at night and have a comfortable shower in my bathroom! 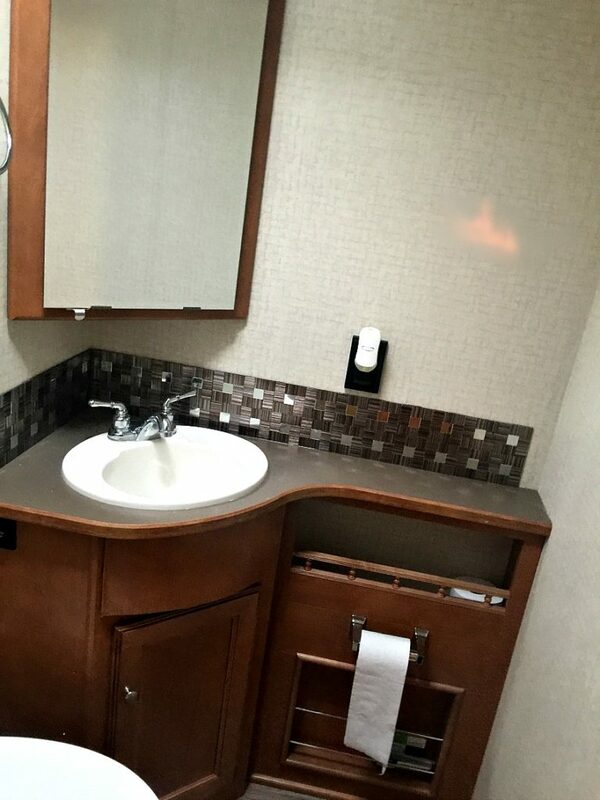 I must confess, that was one of my favorite RV features!!! 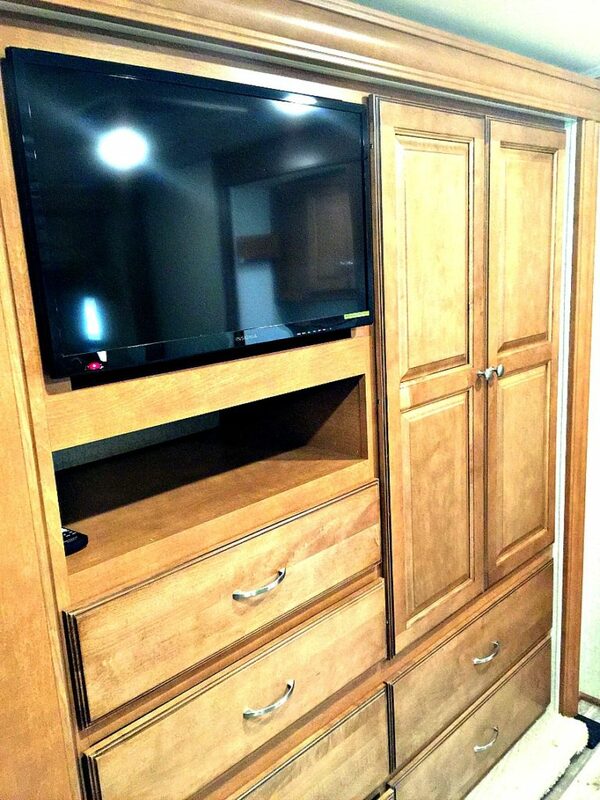 I was happy to have room for all my clothes and shoes and more in the bedroom area and have an extra TV, not that we used it much, since we fully experienced the campground until late at night, all nights! After a beautiful safe trip, we arrived at KOA Virginia Beach around 7:30PM. The Campground had a store with basic need items, such as charcoal, wood, milk, eggs and many other items, which we took advantage of, so we would not have to bring all those items with us! 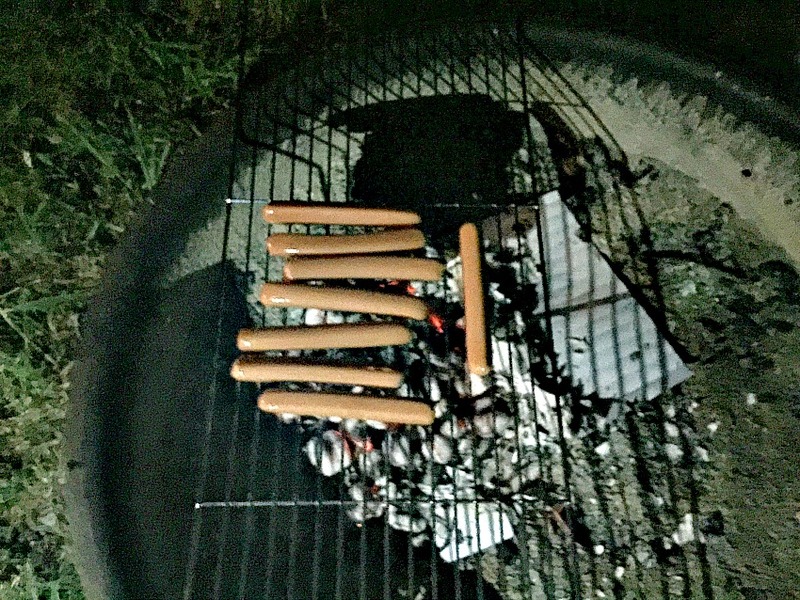 The fire pit did not have a grill for cooking, so we bought one there as well! 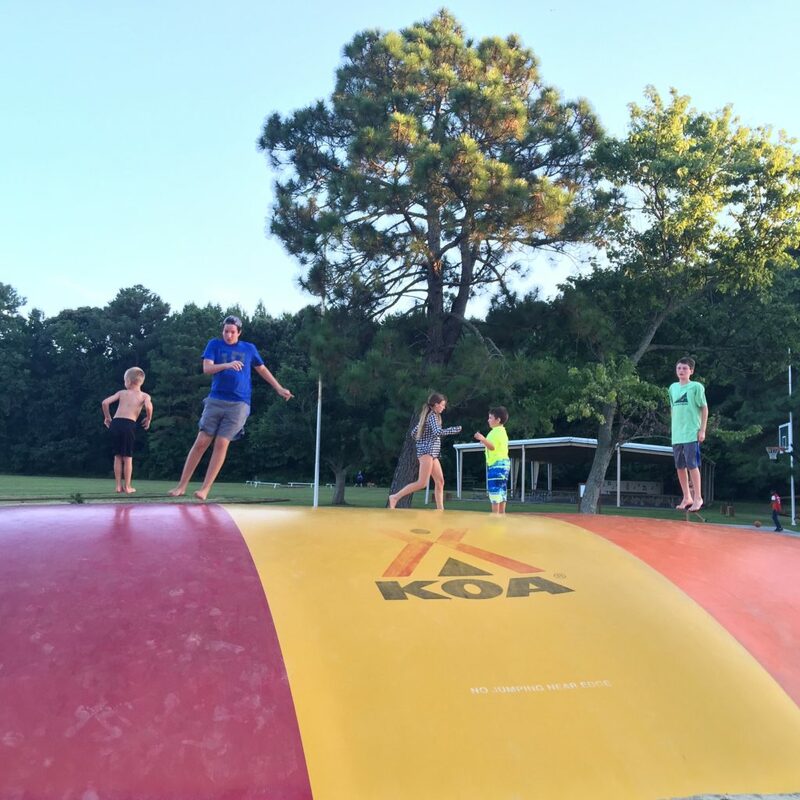 Now let’s get to what you are probably thinking: it took forever to set it up once we arrived at Virginia Beach KOA? Wrong! It took my husband close to 15 minutes, since he received a great walk through from Larry at the RV location! 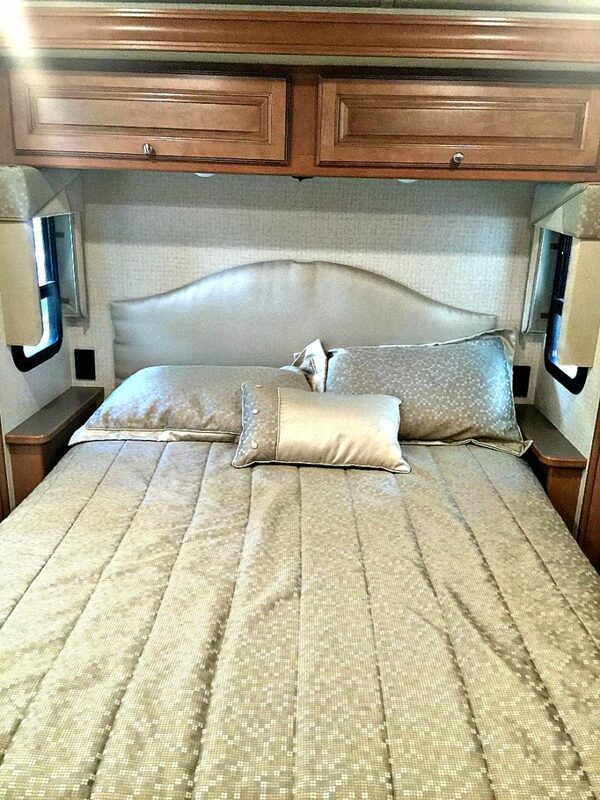 He said, somebody with no RV experience would probably take about 30 minutes to set it all up, which is not bad at all! 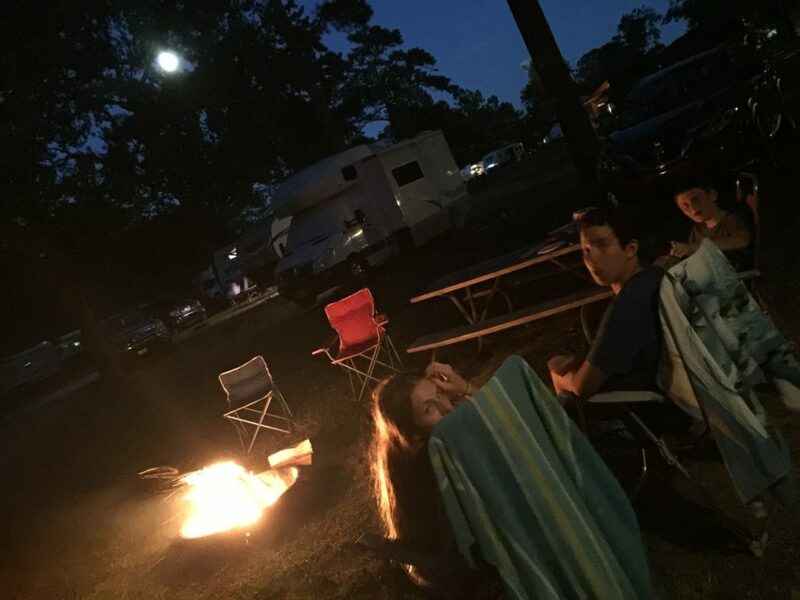 On the other side, where we placed our chairs, by the campfire, there is a 40″ TV and a very comfortable awning, giving us shade and comfort which is extended to our outdoor experience! Don’t forget to level up the RV, so you are not moving around while you have it in place. 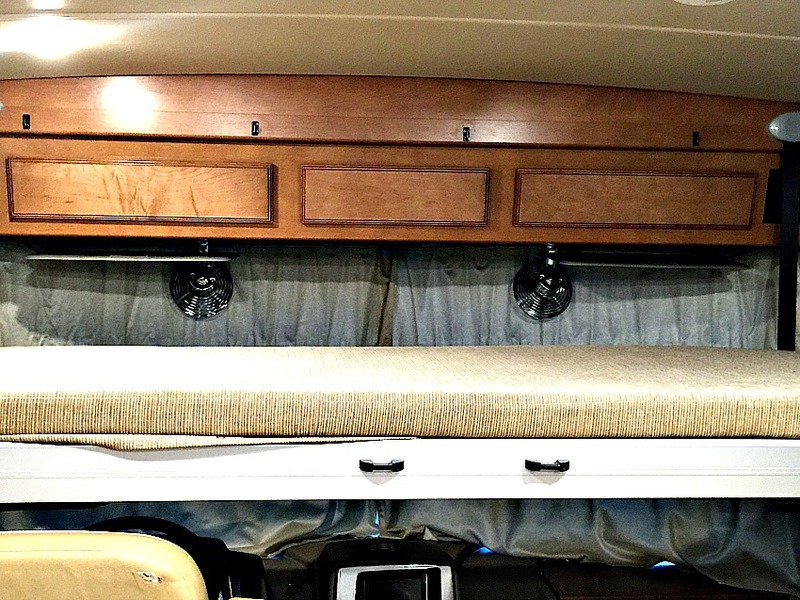 The Winnebago Vista came with automatic levels which made the leveling a snap! Our steps went down and retrieved automatically depending on the door being open or closed and there was a switch to leave them down while at the campground. Something I do want to share is that the RV had two separate sewage systems and hookups. We did not have a dual hook up or a “Y” adapter (which my husband said would have solved the problem) so only one zone of the RV could be hooked up at a time. 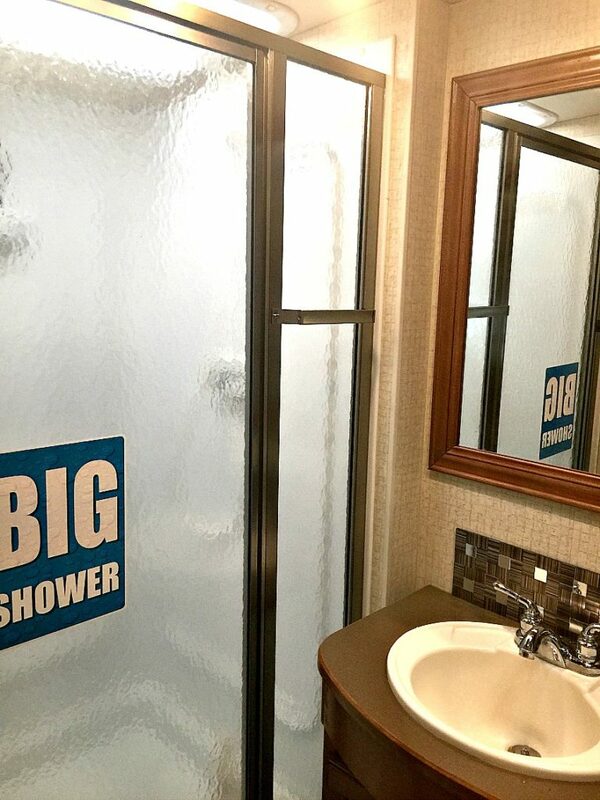 Once the boys bathroom water level was full, we had to stop using that bathroom, otherwise we would have had to move the RV to attach the second set of hookups which would be very time consuming. We did flush both systems at the end of our trip, so the next user would make the best use of it. Maybe the person before us wasn’t aware they needed to do that before dropping off the RV, because it seemed to have come to us with levels too high for a beginning of a trip. I was locked out the first time I left the RV and went out to explore, it was a little hard for me to open the door on my own. 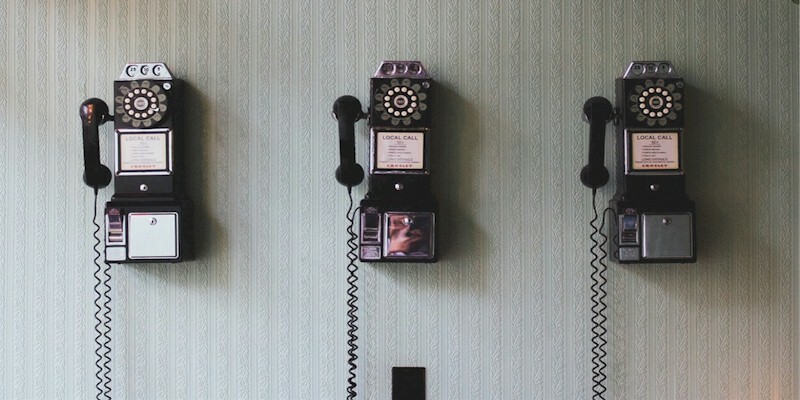 My husband and kids had no issue, but I thought I should mention, in case you are a little on the not so “handy” side! There was a special way to open the door, that I never seemed to get! I know you and my boys are probably laughing at me right now!! Cooking was an all new experience for the boys! Trust me, I was not going to protest!! 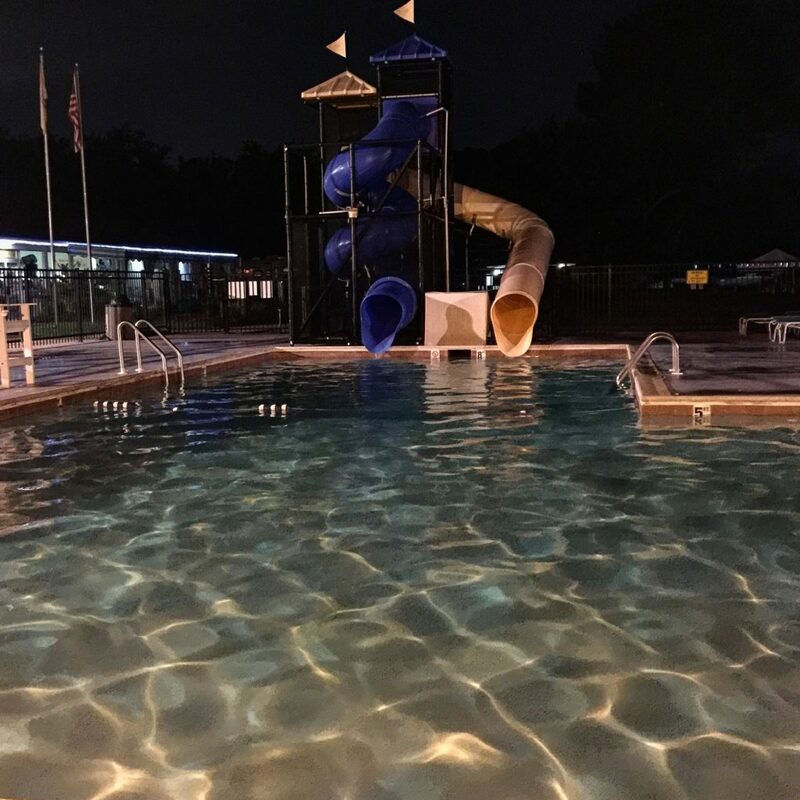 Guess where I stopped, yes the pool was open until 10 PM!!! The water was so warm and inviting! As it should be, we had the pleasure of having friends who camped in a near by site and we shared the day and a meal together! The kids spent the afternoon in the two large pool and water slides, bouncing around and we had S’mores at night! 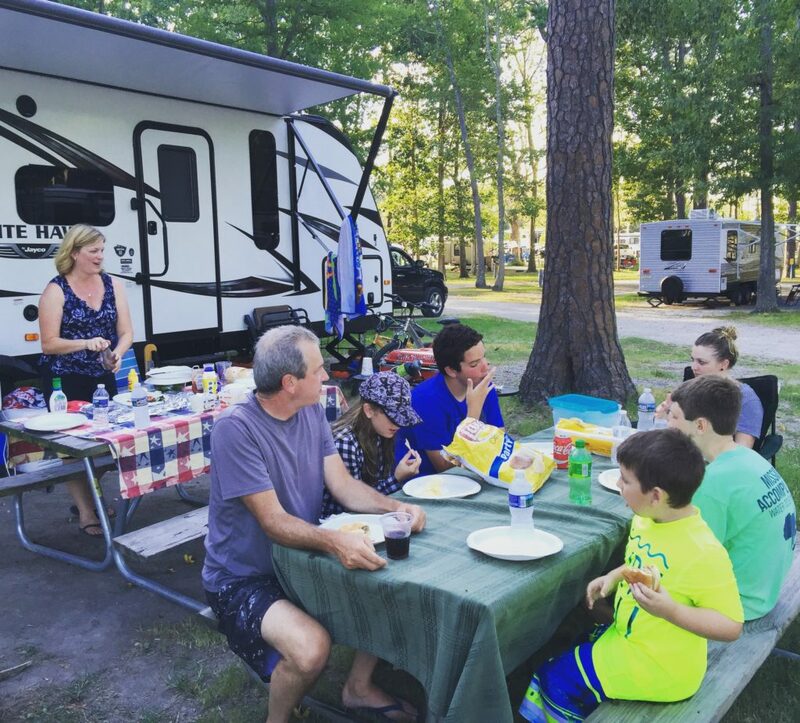 After all, camping is all about enjoying the outdoors and spending time with people you love! 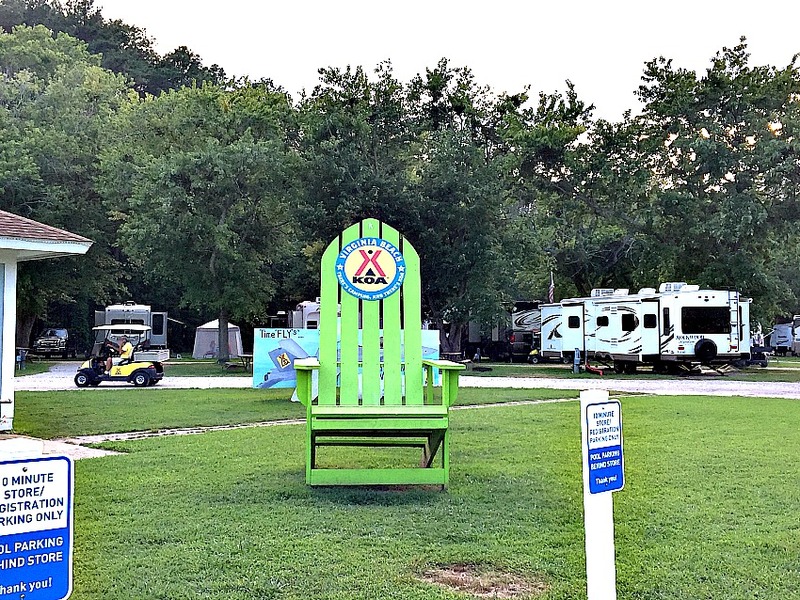 Here is a fun walk through the campground! Take a look at the dog park! Love it! We were sad to leave, after 4 fun days at the KOA Virginia Beach Campground! I was so happy to see the kids not even worrying about TV or cell phones and enjoying fun outdoor activities while we were there! 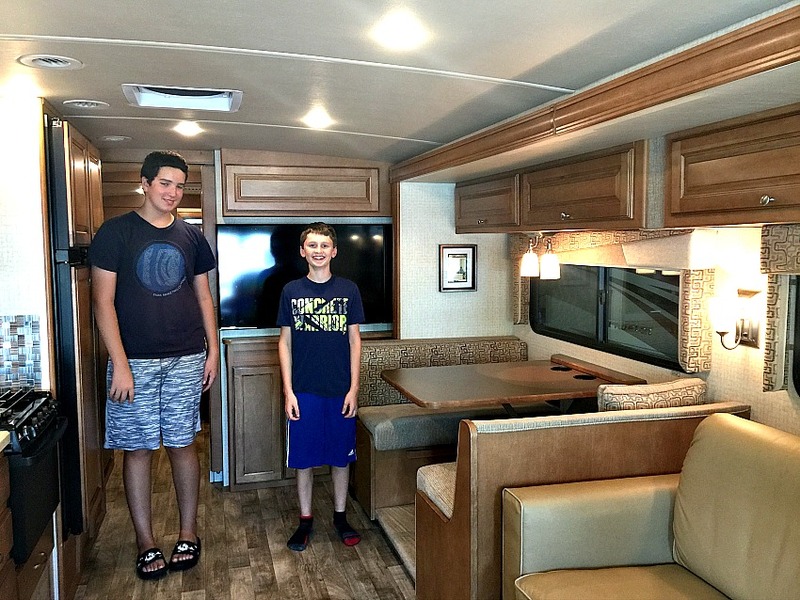 It was the perfect combination of comfort and yet back to basics, enjoying nature and family time without technology and yet having it all inside the RV to make our experience a more pleasant one! The campground had a bus which stopped inside the for people who wanted to explore Virginia Beach while being there. 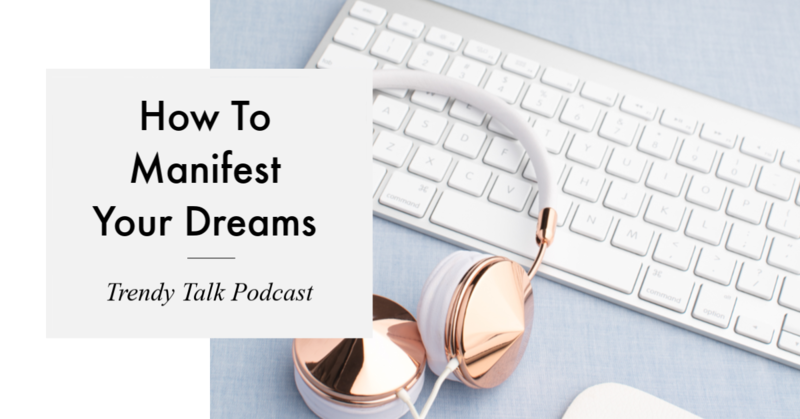 I will share more about that in another post! We will sure be back in the Spring, I can’t wait to explore a new location and share our new ride and another trendy camping adventure with you! 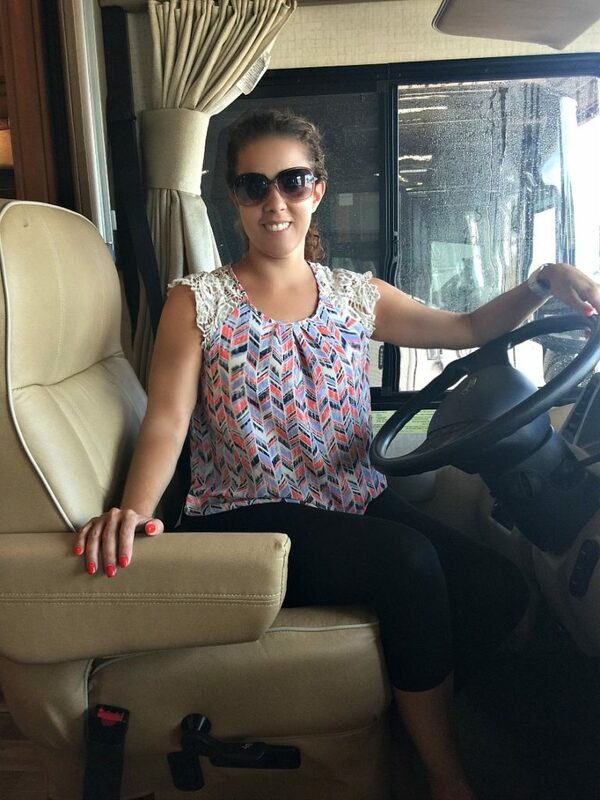 We want to thank GORVIng and Winnebago for the awesome comfortable trendy ride! It made our camping trip experience even more special! Do you like camping? 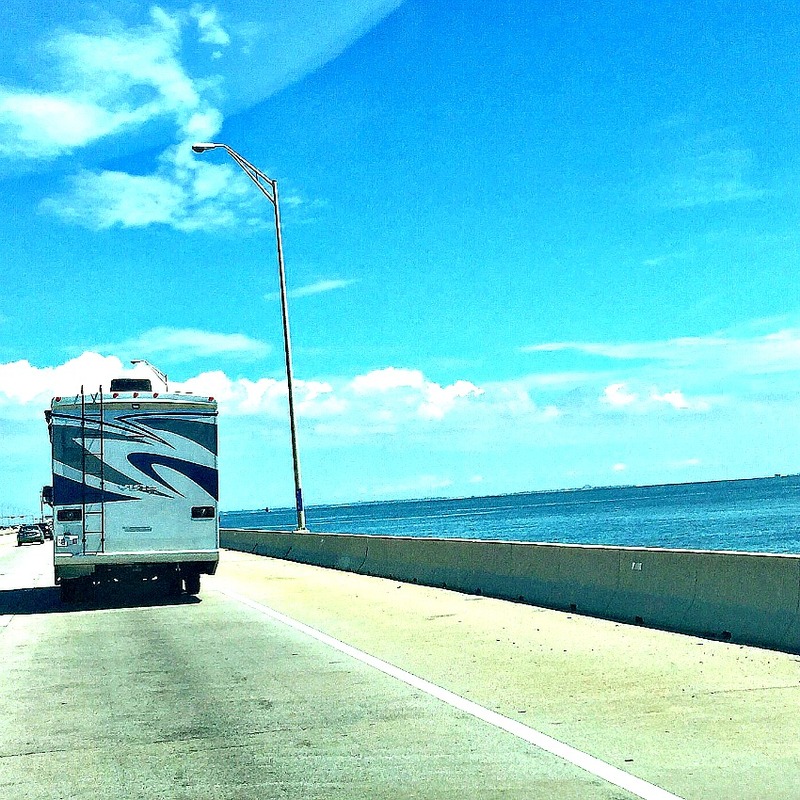 Do you own an RV? 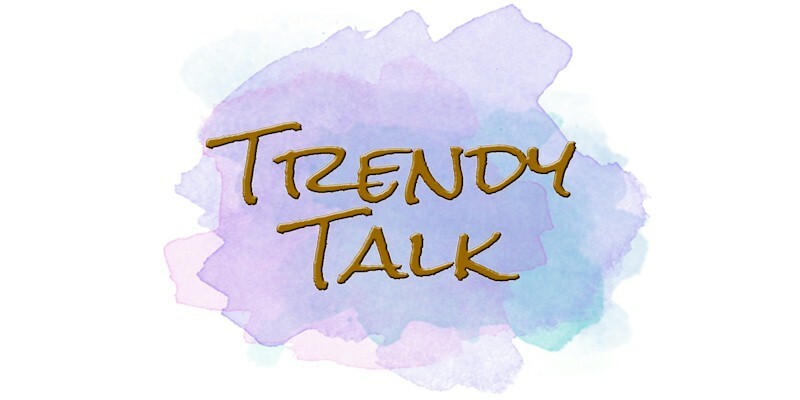 Can’t wait to hear from you, as usual, give us a Trendy Shout! The RV looks like such a great way to lie and travel. I would like to go on a vacation that way. Nice ride! 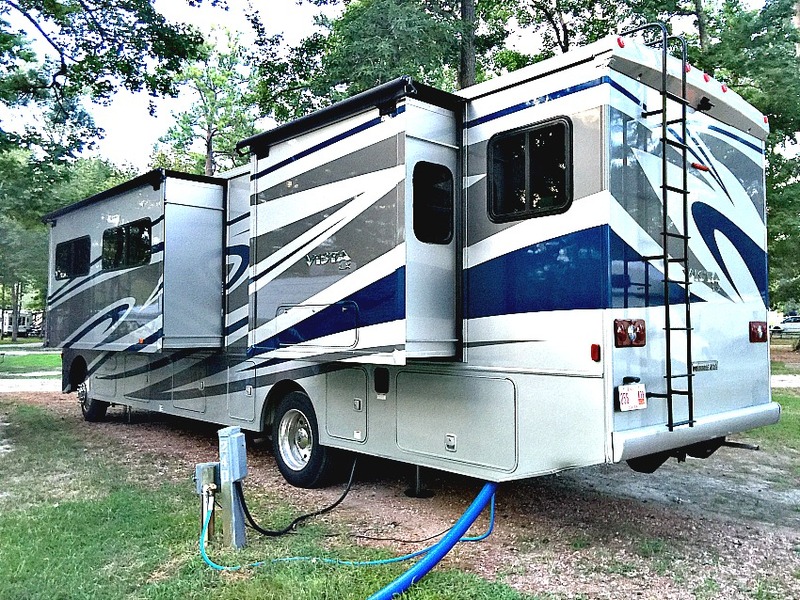 We want to look at renting an RV for a big road trip. We live in Southern California and have a lot of rental places. Maybe next year. I have GOT to do this! I’m not a camper but I could definitely RV in style! This is my kind of camping! Looks like you guys had so much fun! Looks like your family had an awesome time. I’ve camped with my own parents but never with my own kids but after seeing your post I’m in the mood to go RVing! That is one cool RV! Looks like you guys had an amazing time! And the KOA campground looks super fun! A Winnebago would be amazing for camping. I love the floors in this one. I will have to look into renting one for our next adventure. Wow, now that is one awesome camper! I want to stay in an RV and travel to a nice camp ground. 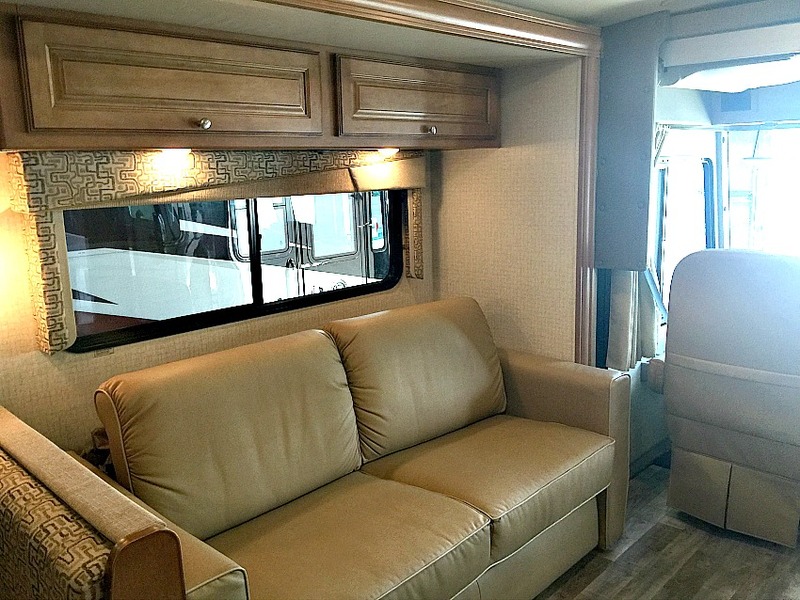 I’ve always wanted to take a road trip in an RV and this one looks amazing. We definitely wouldn’t be without the comforts of home. Wow, what a great experience! It is my dream to own an RV just like that. 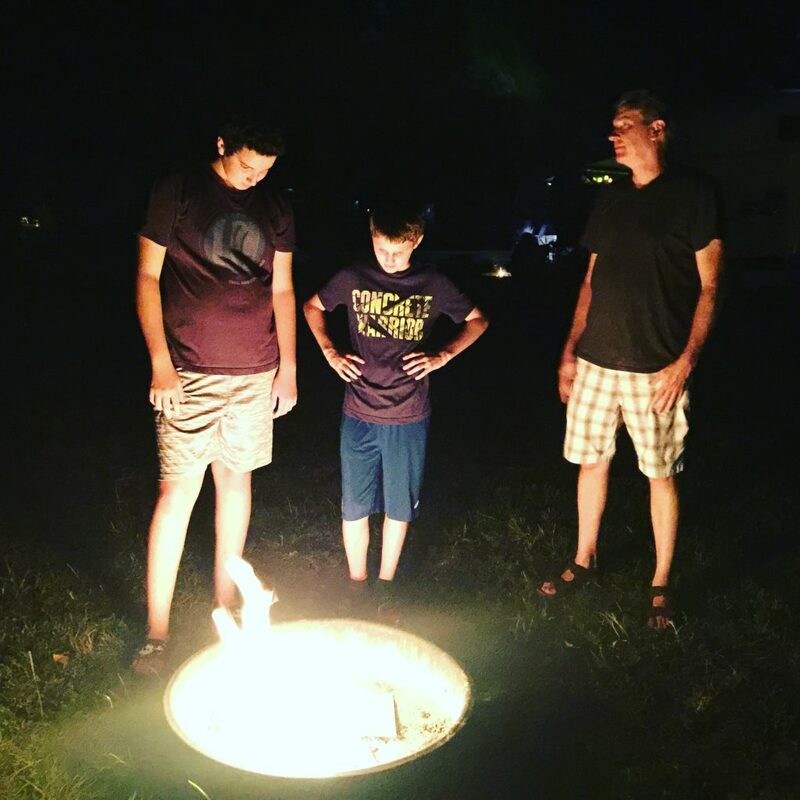 I am not a fan of traditional camping but I do love exploring this great country and have fun adventures with my kids. Definitely on my wish list! I have wanted an RV for the longest time. I really don’t think my husband is on board with it, but I would love to have one and just travel around the country. I could handle this kind of camping for sure! I will take this over a motel room anytime! That is one nice looking RV. 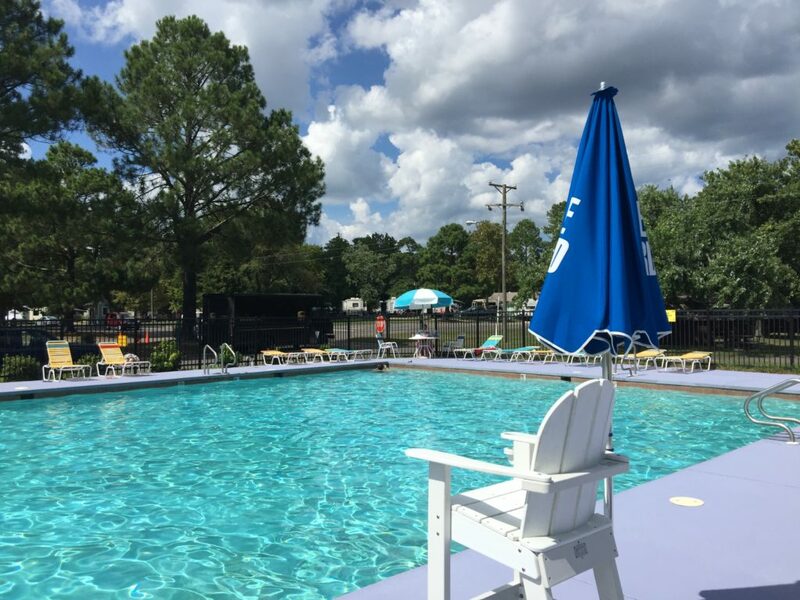 KOA is very reputable and it’s great that they have all the hookups you need. I can’t believe they even have cable. 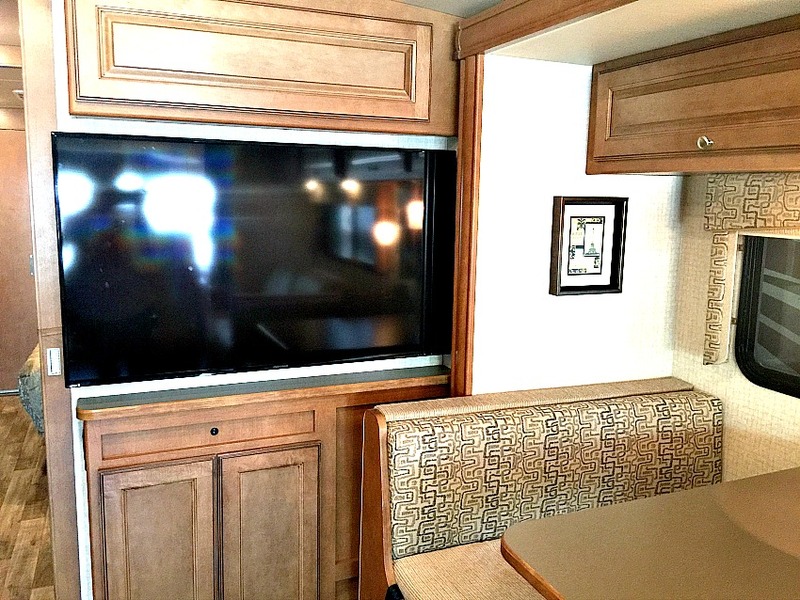 It looks like RVs have come a long way since I traveled across the country in one! Looks like a fun camping experience. That looks like a really nice RV and campground. 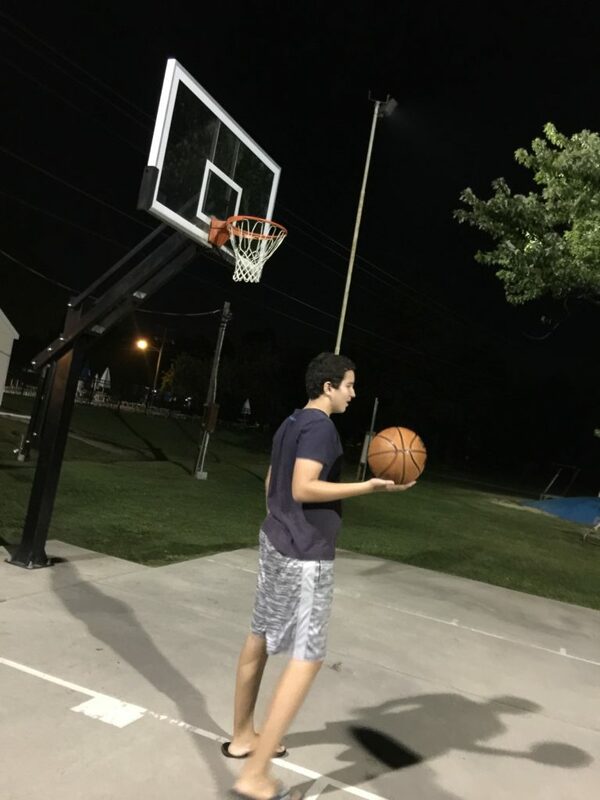 It is nice that they have a pool and basketball court. I love to go camping, but I have never been in a RV. This is my kind of camping! Who needs a tent and a sleeping bag when you’ve got an RV?